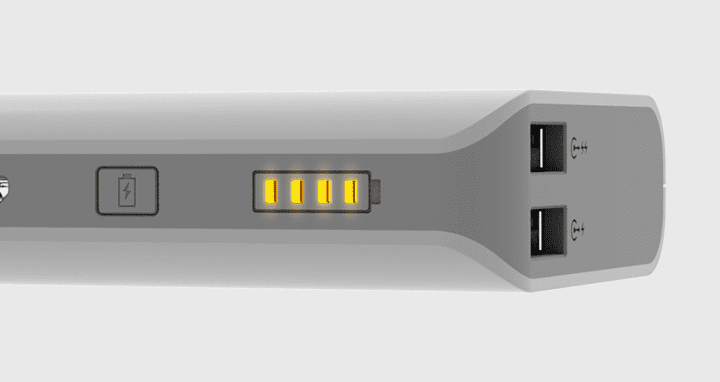 Ease your charging emergency! 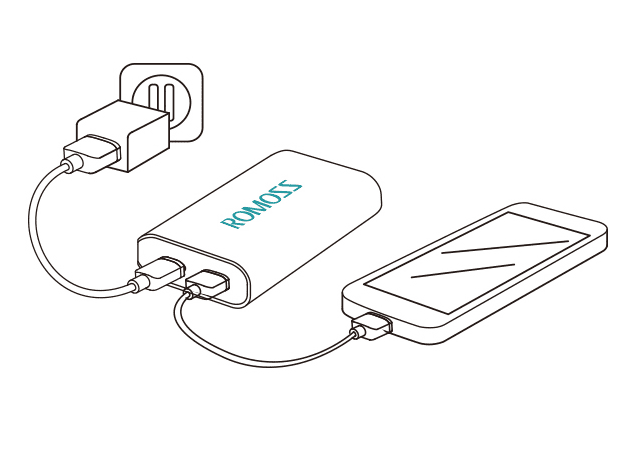 The Solo 5 can be charged at the same time as your device. Never worry about a situation where both your device and power bank is out of power. Four built-in LED indicator lights illuminate orange when charging or self-charging, which indicates power levels. 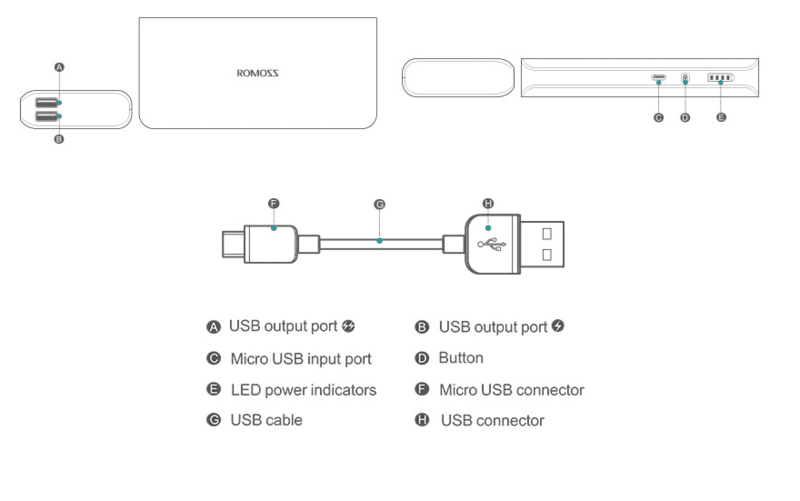 It's an amazing function to prompt users that the power bank should be self-chargedwhen the last LED light flickers.